So there's this little lady that I've known since 2007 & I'm really humbled that she allowed me to interview her. Usually I create a nice introductory paragraph where I can hook you in by coming up with a witty couple of sentences, but here I don't feel as though that would do Cindy any kind of justice. I know I speak highly of everyone that I mention on this blog, but when it comes to Cindy, she has to be the highest of the high if you would say. There are few people on this planet that just exude their personality and at the same time it's awesome. I will tell you now that she is more than her beauty, and the most beautiful parts of her are made up of all the things that you can't see. To experience her is a true blessing, and the reasons that make her a great person will make her a great artist. Those are the reasons why I choose to support her and interview her, in addition to her wonderful voice. So without much further hype from me, let's get into the interview and you can see for yourself, from her own words, why she is such a great artist. Cold Knowledge: So we've been friends for a couple of years now & I know you as a very awesome, caring & humble human being. For those people out there who don't know you, what can you tell them about your humble beginnings? Cindy Rainne: Awww, thanks for the compliment! I was born and raised in Brooklyn, NY and I grew up singing in church and school. I started taking piano lessons when I was 12, and began writing songs when I was about 15 or 16. You could not get me off the piano back then! I knew pretty early on that I was a good singer and I wanted to do it as a career. Although I’ve always been confident in my musical ability, I think that my experience with childhood bullying has kept me humble. I know what it’s like to have really low self-esteem, so for me to be arrogant or conceited, I can’t even conceive of it! Cold Knowledge: With all that you have learned & accomplished at a very early age, how did you manage to overcome the bullying? You seem pretty comfortable out there on that stage and your vocals seem to just exude confidence every time you step up to the microphone. Cindy Rainne: Well, music was actually my saving grace during that time. I sang at a talent show in the 8th grade, and when I did that performance it was the first time I’d felt really confident and proud of myself. Kids made fun of me and told me I was ugly on a regular basis, but I felt like even if I didn’t have anything else going for me, I could sing. I was going to milk it for all it was worth! Fortunately, by high school, public opinion shifted, so I stopped thinking I was ugly. But to be honest, there were still remnants of self-esteem issues that kept showing up in my adult life. Only in the past few months have I REALLY started to get to the bottom of this stuff. And it’s having a huge impact on my artistry on every level. I’m no longer putting on a confident mask; real confidence is actually starting to emerge from within. Cold Knowledge: And from my experience listening to and watching biographies on great artists and hearing their own words about their sound, they typically have those moments early on and learn how to channel that through their music; making some pretty classic pieces. Speaking of which, which artists inspires you to take those leaps and bounds and become a better artist? Cindy Rainne: I have always been inspired by Lauryn Hill and Jill Scott. I just love the openness and honesty in their songwriting; I love the story telling. And of course, they’re both amazing vocalists! I just adore them! Cold Knowledge: So when you say you love the openness and honesty, is that kind of like the focus on your style of music? Because you often hear how a lot of artist either faked it til they made it, or they just put everything into their first couple of albums. Cindy Rainne: Yea, being open and honest is a huge priority for me these days. A lot of aspiring artists are encouraged to write what they think people want to hear, so a lot of times the songs stay on the surface. I used to write like that. It was just an extension of how I was carrying out my everyday life. I used to give people the Cindy I thought they wanted, but it’s really draining to try to be something I’m not. So now as I’m being more real in my daily life, I’ve started to delve much deeper in my songwriting. I’m going to that place where it touches a soft spot, to the place where it makes me cry. That’s when I know I’ve got a good song. Cold Knowledge: So it's safe to say that you're not going to just settle for any old kind of deal where you just make money, rather having the opportunity to stay true to the music that you want to make? Cindy Rainne: Exactly, I want to have full control over my message and my image. It's very important to me that I remain a positive role model. I've worked a lot with kids over the years, and they're very much influenced by the music industry. I think it's so important for them to have positive role models, and I take my responsibility as an artist very seriously, (especially as a young black woman). Cold Knowledge: Well your message is pretty clear and to the point of how you want your career to be. I know you recently launched a Kickstarter campaign for your Unmasked EP. Give us a little background on the project and why you decided to do the Kickstarter. Cindy Rainne: The Unmasked EP is a collection of 6 songs I’ve written over the past couple of years, and they’re all about going beyond the facade we put on, to discover and fall in love with the real person inside. There are songs about owning our personal power, self-awareness, letting go of relationships that don’t serve us, and of course, self-love. I really believe in this message and this music so I want to make sure that the album has a fighting chance of being successful. That requires top notch production (industry standard) and a great PR campaign and neither of those things are cheap. If I were a signed artist, all of these expenses would be handled by my label, and in return I would have to give up some creative control. As an independent artist, I’m responsible for finding money for every aspect of my career (music lessons, photo shoots, website creation, coaching, production, videography, hiring musicians, rehearsal space, etc.). It would probably take me another 2-3 years to save the money for this album on my own, and by that time, my message and my artistry will have evolved into something else. I think it’s important to release music while the energy around it is still fresh and authentic, so I’m feeling great urgency to get this out as soon as possible. I decided to launch a Kickstarter to mobilize people who enjoy great positive music to invest in this project and help me to make it a reality. I believe that if people want to have more control over what’s coming over the airwaves, they have to be willing to support positive artists. I can’t do this alone. Without an audience, without people who care, this is just a dream in my heart. So I’m asking for financial support to release this project into the world. Cold Knowledge: Just wow, you rarely find people these days that actually go out and grab their dreams by the reins and turn them into a reality. It truly takes a great person to actually accomplish even getting this far, how has the support looked so far for you? Cold Knowledge: Awesome, I'm sure after watching some of your performances and covers that people will gladly contribute to your EP. Are there any particular artists or producers you would love to work with in the future, like a dream list? Cindy Rainne: I would love to work with Lauryn Hill, Jill Scott, and Elle Varner. The producer that’s at the top of my list right now is Blair MacKichan, who I love because of his work on Asa’s “Bed of Stone” album, and I’m ridiculously excited because he’s going to be producing my EP! I’m also a fan of Benjamin Constant and Cobhams Asuquo who have also produced a lot of music for Asa. Next on the wish list are Salaam Remi and Vada Nobles because of their work with Lauryn Hill. I love anyone who can fuse lots of different styles together tastefully! 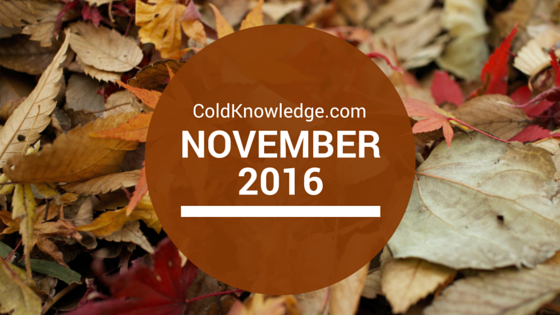 Cold Knowledge: Sounds like you have that sound that has a lasting message and has substance. What are some long term personal goals for your career, if you feel like divulging such information right now. I know people are typically close to the chest with things of that nature, myself included. Cindy Rainne: My main goal is to spread this message of self-awareness and self-love nationally and internationally, and to be able to make a full living off of performing and selling my music. When I say a “full living”, I want to be making enough money to help support a family. Eventually I want to get married and have some kids, but I want to lay a solid foundation for my career first. And then, once I reach a high level in the music industry and I’m making a more substantial amount of money, I want to start a non profit organization that provides music and theater classes for kids. I want to use the arts as a vehicle to teach kids about self esteem and knowing their value. The only way we’re going to shift our culture for the better is if we reach the kids. Then when I’m much older and ready to slow down, I think it would be fun to be a vocal coach to the stars. Cold Knowledge: Besides being involved in the album making process and doing live shows, have you ventured into other avenues of entertainment such as plays or any cameo appearances in shows? Cindy Rainne: Back when I lived in NC, I did a lot of community theater. 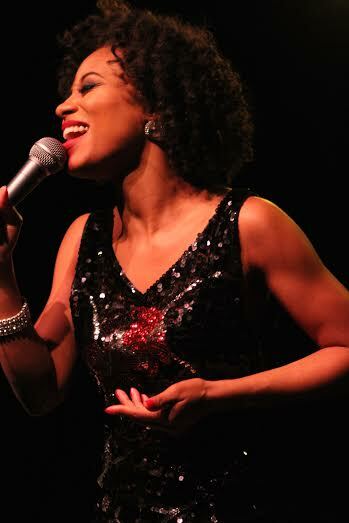 Some of my lead roles were ‘Charlaine’ in Ain’t Misbehavin’, ‘Deena Jones’ in Dreamgirls, and ‘Sarah’ in Ragtime. Since I’ve been back in NY, I've done a show that was a part of the international Fringe Festival called “Riffs on Race, Love and War”. I’ve also done some work as an extra on “Orange Is The New Black”, “Nurse Jackie”, and “Law & Order SVU”. Acting is fun, but it’s very time consuming, so these days I’m focused completely on working on my music. I would love to explore the NYC theater scene further once I lay a solid foundation for my music career. Cold Knowledge: Well I have to be honest, this whole interview has shed some more light on you from what I already knew, so it's safe to say that you are one of those artists that we are rooting for to make it because you're going to have such a positive influence on music in general. Before we go, is there anything that you want to tell the kids out there that are suffering from self-esteem issues or they want to get into music in general? Cindy Rainne: My advice for those struggling with self-esteem is this: First you need to ask yourself where you got the message that you weren’t good enough. Usually it's a message you got from your family or your peers. Then you need to understand that it’s total BS because hurt people hurt people. Someone told them they weren’t good enough, so they’re passing that nonsense on to you. It’s not true. EVERYTHING and EVERYONE God created is beautiful and worthy of the best that life has to offer, including you. You are enough, so tell yourself that every day until you believe it. Here’s my advice for those who want to get into music professionally: 1. You can’t make it off of natural talent alone. Take time to study your craft and do some research on the industry. That will set you apart from the millions of other people with the same dream. 2. Learn the business side. If you want to make money off of this and not just do it as a hobby, you’re going to have to be an entrepreneur. Gone are the days when you can get signed solely off of your talent. Labels want to know that there’s going to be a return on their investment, so you have to be able to generate a buzz on your own. When you have your own fans and you’re generating money then the industry will take notice. And there you have it ladies and gentlemen, Ms. Cindy Rainne. She's probably given you a million and one reasons to love and support her. I don't just support any or everyone for the sake of supporting them, I carefully choose people for the main reason that they believe in themselves firstly, what they're doing secondly, and they're willing to go out there and work their tails off to get whatever it is that they want. Cindy has been doing that for awhile now, and her time is coming because of all the dedication she has put in to her craft. From the many performances on stage, behind the mic, in front of the curtains and even those school talent shows, she has always given her very best. This time around, it's with an even more humble heart that I present to you Ms. Cindy Rainne. Above are all of the links to her website, Facebook group that she's highly active on, and her other social media links. In addition to booking info and special media content, she also has a fully functional blog section, which I find awesome. So as I leave you guys, I want to share a cover she did for Lauryn Hill's Ex Factor that I absolutely love.